EDIT: Taking this one off the market. This is Tokai's top of the line model. It is equivalent to LS-540 of today's production line. Brazilian rosewood fretboard, Honduran mahogany, AAAA hard maple top. The guitar is fully original with NOS Bumblebees (when is the last time you saw a guitar come stock with NOS 'bees?) and J.M. Rolph pickups that Rolph makes exclusively for high-end Tokai's. The all lacquer finish is quite thin. 9.75 pounds. Comes with OHSC and accessories including key, sales card, truss rod tool. This guitar is stunning all-around. The pics are not glamour shots; they were taken in my apartment with some window light. The top is just that figured. The mahogany grain on the back is gorgeous. The maple top on my 2000 LS-320 looks similar to the top in the OP picture; I believe the flames on mine are a bit wider. My 320 has never been altered in any way, and the pick guard was never installed, thus no screw holes for a pick guard. 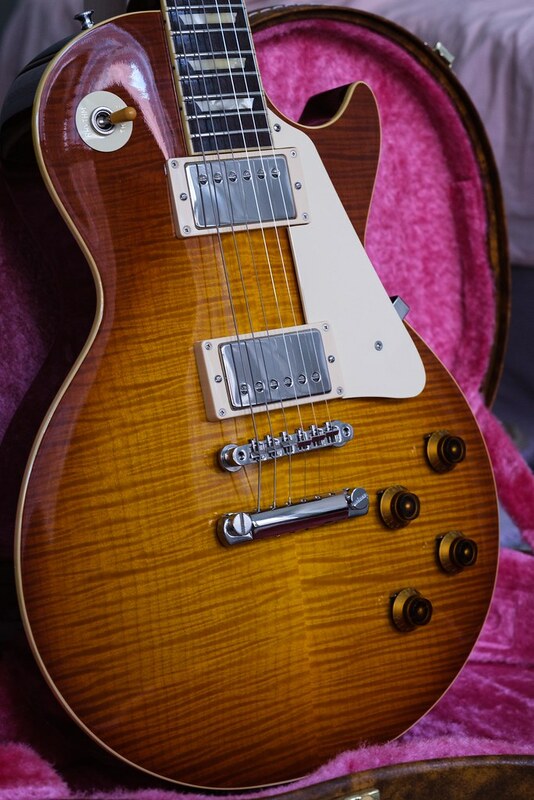 My 320 would be one of the last of my LP types that I would offer for sale. Why sell something with such excellent, era correct timbers, and that's besides the rarity factor? Completely agree. My 2003 LS-320 would be the last guitar out the door if it ever came to that. Mine is also completely stock, though someone did install a pickguard at some point.